Hell yeah Jeff! Love these guys. 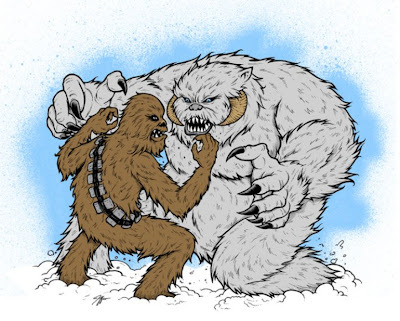 My advice, let the wookie win. Great work Jeffro! This is a battle everyone wants to see! So badass! Love the line work on the fur!